Our wait staff was fantastic! Everyone was so friendly and helpful to us. We really enjoyed our time. They have a fabulous Cherry Ice Martini. Raymond and Francisco were the best! Our waiter gave us personal attention and was very friendly. I recommend trying the fried mozzarella. This appetizer was amazing! Another delicious meal. We invited others to join us and it was their first experience here. It did not disappoint. 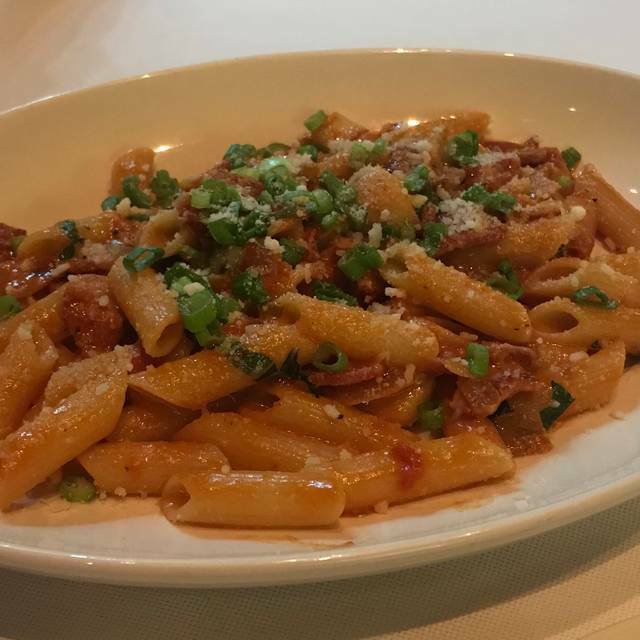 Martorano’s is our “go to” spot for each Las Vegas visit. Food is always amazing. Service is attentive but not overbearing. Great place to “people watch” at a table near the entrance, or for a quiet dinner in a spot tucked away. Wait staff provide excellent recommendations and Martonaron’s one of the few restaurants with a sommelier who will take the time with you to create the best wine pairings while also just getting to know you. Great choice. Nice Italian joint at Paris Las Vegas. Advised it was anniversary and of course nothing was really done to help celebrate the event. $200 dinner, with app, 2 entrees and cocktails. Should have just gone to Sinatra instead. Fantastic food, great wine options, ambiance is outstanding. Order the meatballs! Fabulous meal! The scallops were cooked perfectly, along with the lump crab snd risotto. Would highly recommend eating here! Pasta was good but was very disappointed in the bread. It was like a loaf you would buy from a grocery - no taste!! Always enjoy good bread with my food, not here though! It was my first time coming here and it was fantastic! The food is amazing! The noise level is too loud and couldn't hear people across the table. Food was amazing! Romantic setting, martinis were awesome & excellent service! Every time we come to Las Vegas we dine here! Everything from the hostess seating us to when we are leaving is excellent! We were hoping for a romantic Italian dinner-seated in the walkway of the casino-and there were only two other patrons in the restaurant at the time. Food was fine but nothing special-I had the meatball and spaghetti and felt there was very little sauce. My husband had the chicken parmigiana and felt it was dry. Could have eaten a lot of places for the $150.00 we spent for 2 entrees and wine. The meal and dinner service was very good. Unfortunately, I inadvertently left my hat at dinner. The next day I returned to the restaurant at 4:27 PM, 3 minutes prior to opening. I saw a gentleman in a suit, who I assumed was the manager who was pouring glasses of wine for himself and a young lady. I waved him over and initially he waived me off, stating the restaurant didn't open until 4:30. When I , then told him I just had a question, he begrudgingly he walked over to me with a very unhappy expression. I explained to him that we had dined there the prior evening and asked him if anyone had found my hat. With a disgruntled look on his face, he said "the hostess will be out". He then walked away and back to the bar and continued his wine tasting and conversation with the young lady. I don't think this is the type of attitude that Mr. Martorano would want his employees to have in dealing with his customers, especially by his management. I then waited for the hostess who was very friendly and helpful. Service was great. Large portions. Like everything in Vegas, a bit over priced for what you get! Martorano's was fabulous. 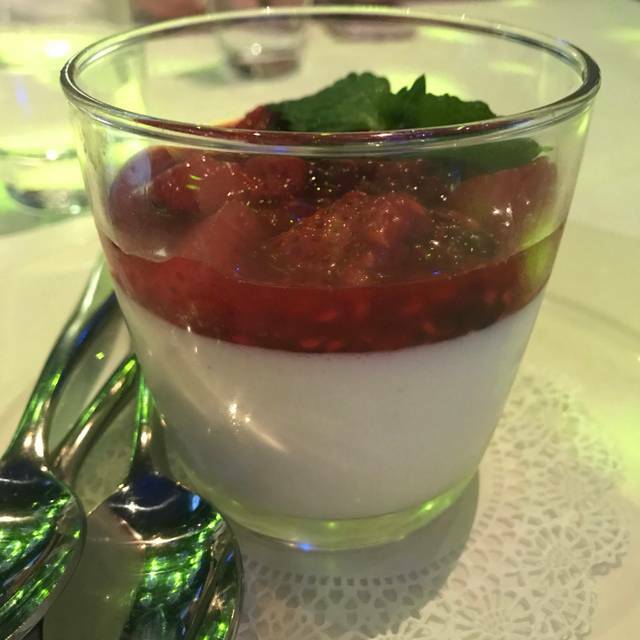 The service was great, the food was excellent. Look forward to returning soon. An Italian treat... with contemporary hip. 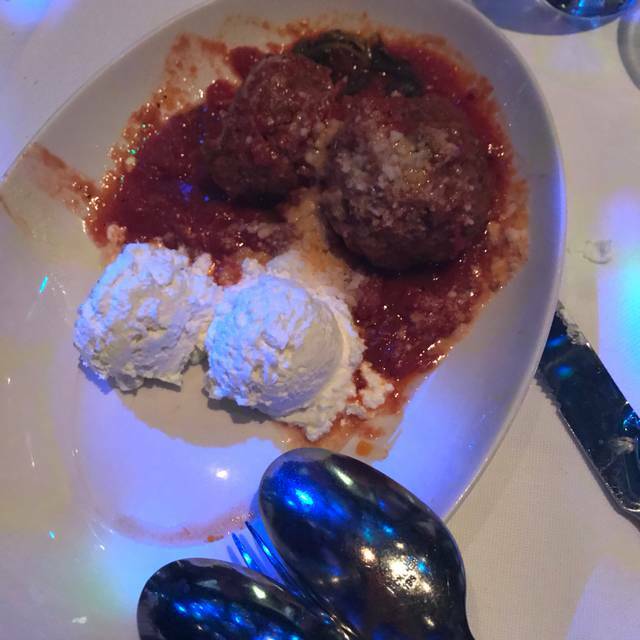 We had meatball app which were the best I’ve ever eaten. Caesar salad was also special. Macaroni entres n gravey Fugediboutit ! Very good food but for some reason my food was late (after rest of the table was served) coming to the table. Made the reservation for later than I’d hoped but we were seated much earlier - that was really nice. The wait staff were also quite pleasant. 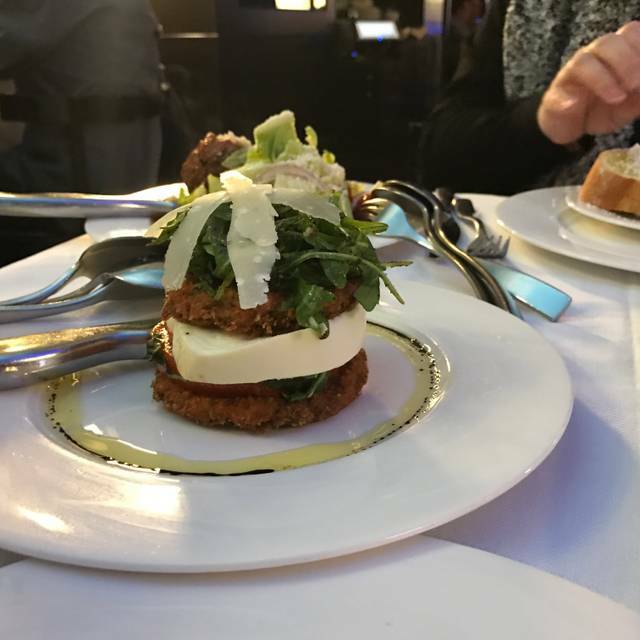 The food was meh; the Martorano Salad was drowning in dressing and took away from what might have otherwise been a good salad. The linguine with clams was fresh but could have used a bit more salt. My biggest complaint was the noise level. Even before the DJ started it was extremely loud. I suppose that’s the Vegas Strip but for the price and decor I would have greatly preferred a restaurant over a nightclub. The three of us couldn’t talk at all and frankly, the food didn’t make up for it. This is a MUST with every visit to Vegas! Have never had a bad meal! Excellent! Ok, we’re Italian, and this was truly one of the best Italian meals I have ever had! Everything was AMAZING! The gravy is outstanding! This place is a gem, and we will make sure we eat there every visit to Vegas. Our daughter just moved there so you can bet we will be back a lot. The service was fantastic and the ambiance is perfect. Thanks you for providing such a wonderful Italian experience. Our favorite restaurant in Vegas. 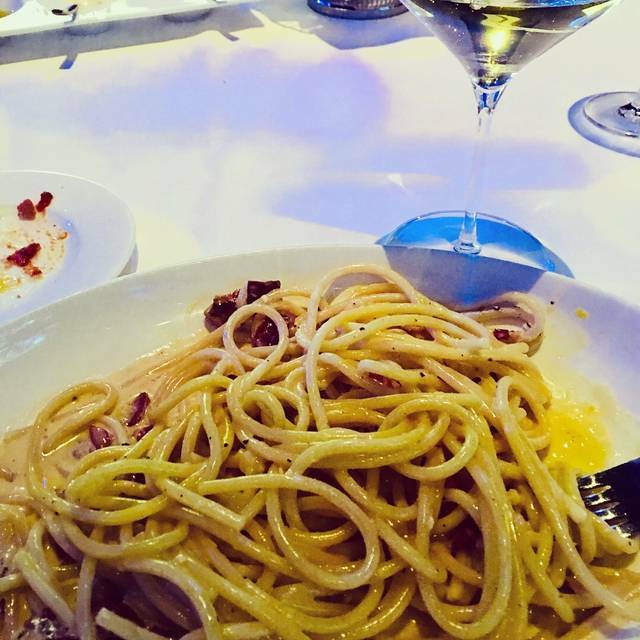 The carbonara alone is worth the trip to Vegas. Service was absolutely flawless...and friendly. We were seated near the entrance due to our early arrival so the noise level was a bit high. That did NOT detract from the service or quality of food. 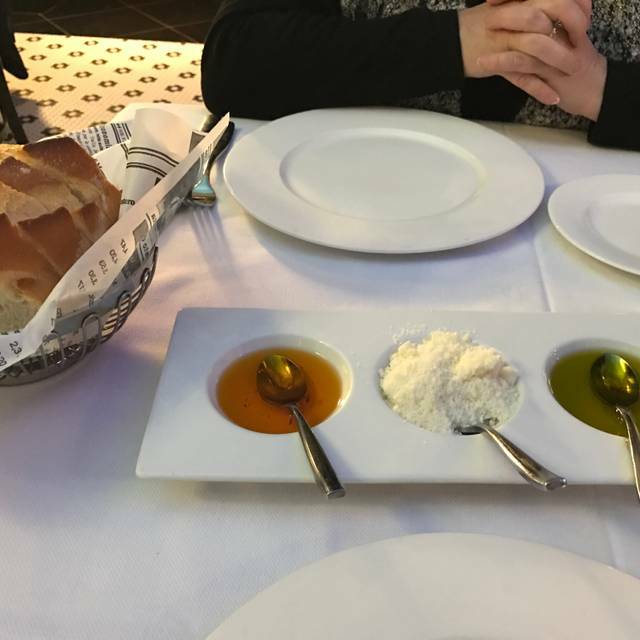 We have eaten at Martoranos many times and have enjoyed the food, service, and the whole experience. 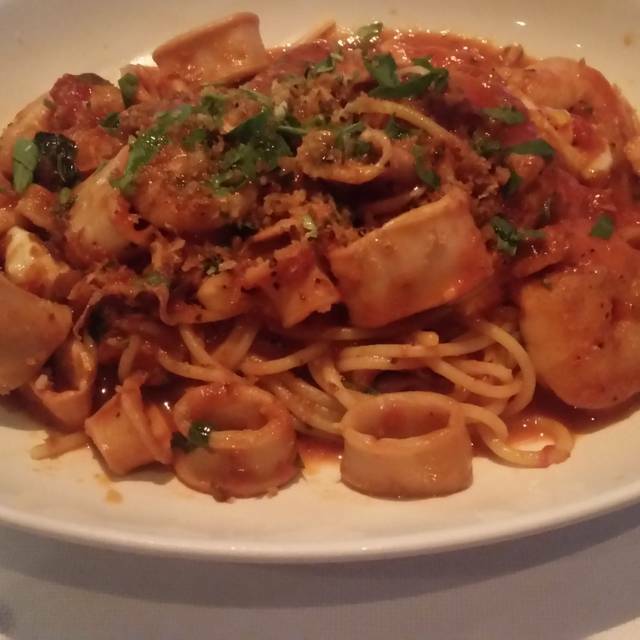 We never miss a chance to go to Martoranos. My favorite restaurant in Vegas!! The food was fantastic. I loved everything about this restaurant. I highly recommend it!! Food was awesome but $30 for a plate of pasta is bit steep. Still the Sunday Gravy was just like my Grandmom’s when I was growing up. The service was arrogant and the Cadillac margaritas were the worst we've ever had. We told them the mix was too sour and they brought it back with no difference. We ate our appetizers and left. We had dinner elsewhere. Food was phenomenal. Service amazing. Drinks were great. It was a great experience. Great meal and service. 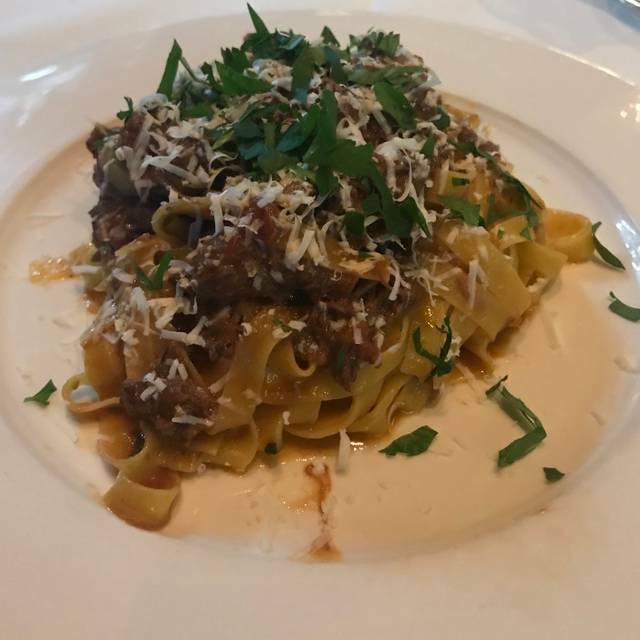 Not your typical Italian fare, nice spin on dishes and the service was top notch. This was the our first visit since they moved from the Rio. The location at the Paris is so much better. Although it’s right off the main path where there is a lot of foot traffic, the restaurant itself is cozy and quiet. The food is exceptional and the drinks were amazing. Give yourself some time to enjoy a little of everything. 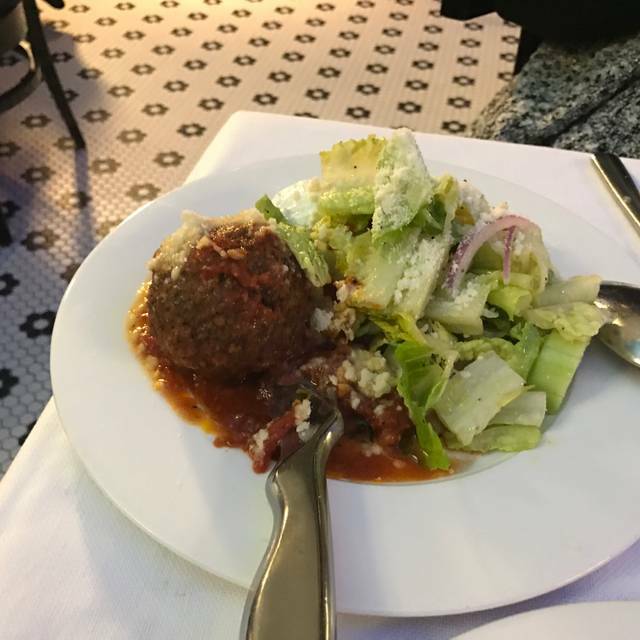 The homemade Mozzarella and the Meatball Salad are a must. We will be dining here anytime we are in town. Went for first time for my friend's birthday dinner. It was amazing from the service to the drinks to the food. Large porions so we ordered entry and side vegetables we all shared after an appetizer. It was all fresh Nd excellent. We didn't ask to change any of the dishes from original preparation which if you attempt this they will deny you. Seems most of the negative reviews are because this happened. We would go back. Calamari was light & flavorful. The Ceasar salad was excellent it had a hint of anchovies. We split the world famous chicken parmesan, linguine and sauteed spinach by 4 and we were stuffed! Happy but stuffed!